HOW CAN I place my decosil ORDER? How can I place my decosil® order? • send a fax to 0039 (0)49 88 48 069 or an e-mail to info@decosil.it. How can I check the exchange rate of the price of the silicone molds? On our website you can find a currency convrter (top left of the page) that will help you check the prices in your own currency. If you choose PayPal we will send you the final quotation and the e-mail PayPal payment request (No. 2 e-mails). 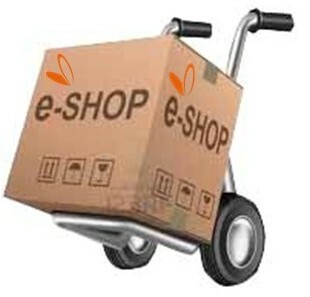 It is the fastest and most recommended way for urgent deliveries. If you choose advance bank transfer, we will send you the final quotation with our bank details attached (No. 1 e-mail). Whatever is your choice, we will notify the departure of the goods. Orders will be delivered by courier within approximately 10-15 working days of the payment date. We always do our best to guarantee deliveries on time. However, an e-mail confirmation will be sent to inform you that the courier has picked up the items. When decosil receives your order, our staff will send you a quotation including the shipping costs which depend on the weight of the products. Be careful that the estimate does not include additional customs clearance costs which must be borne by the buyer and vary from country to country. The consignment is subject to the 2010 Incoterms CPT (Carriage Paid To) rules. The goods risk transfers from the seller to the buyer when the goods are delivered to the courier. As soon as we receive your order confirmation, we will send you a PayPal payment request or await your advance bank transfer. Once we receive the payment, the goods will be shipped. The items will be delivered to the provided address. Moreover it is important to remember that deliveries are made during office hours. Therefore it is better to provide an address where someone can accept the goods. • The recipient must necessarily be a legally acknowledged company in Russia, and the customs will require the following documents in Russian: Quality Declaration, proof of entry inspection and quarantine of goods, Conformity Declaration (if required), Articles of Association.